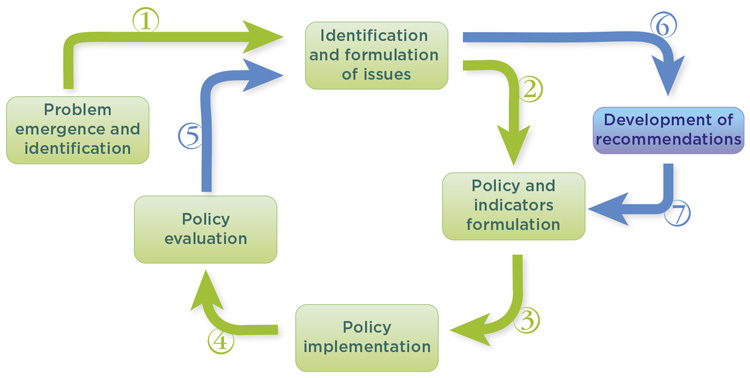 ACTeon accompanies the development, implementation and evaluation of public policies in the field of the environment and sustainable development, at various scales (see main steps below). The consulting and supporting role of ACTeon preferentially inscribes in time, looking for stakeholders empowerment through reinforcing their skills. Faced with the challenges of sustainable development (including those related to the environment) and in a rapidly evolving context, the development of knowledge and of new tools is essential to finding solutions that ensure effective integration of the environmental dimension in all decisions. This need, combined with a taste for innovation by certain members of the ACTeon team, explains the strong involvement of ACTeon in research projects, both French and European, as well as its own research activities developed internally. At the European level, ACTeon participates in research projects funded by the European Framework Programme for Research and Innovation, currently Horizon 2020, in partnership with research institutes scattered throughout Europe. The research area favored by ACTeon until now is the economy of water resources, for example research and development of innovative economic instruments for water management (EPI Water project, completed in 2013), or the development of cost-benefit analysis tools for the emerging industry of wastewater reuse (DEMOWARE, ongoing). At present, ACTeon is expanding its research activities to other areas, such as environmental restoration and climate change. Fuelled by consulting activities and studies to which ACTeon contributes, these research activities are mostly applied and allow for testing of methods or new ideas in close partnership with stakeholders and decision-makers of selected territories. They lead to enhance the innovative character and relevance of methods and operational tools proposed by ACTeon. Environmental issues and more generally sustainable development principles need to be integrated within individual behavior, the functioning of organizations and public policies. In order to achieve this integration, actors must (1) be convinced of the need to “do things differently” and (2) know how to do so. Awareness-raising answers the first challenge, training the second. Training and awareness-raising – mostly aiming the main environmental and territorial stakeholders (administrations experts, local authorities and Non Governmental Organizations) – are at the heart of the concerns of ACTeon. Applied to its core areas of expertise, they can be part of counseling activities or are organized to meet specific requests. ACTeon’s experts are also occasionally involved with students as part of initial training activities (e.g. Master trainings). Some awareness-raising operations are put in place concerning specific economic sectors (industry, agriculture) or towards chosen social categories (e.g. youth through support to the organization of Youth Water Parliaments).